Step 2: Go to Apps section > E-commerce. 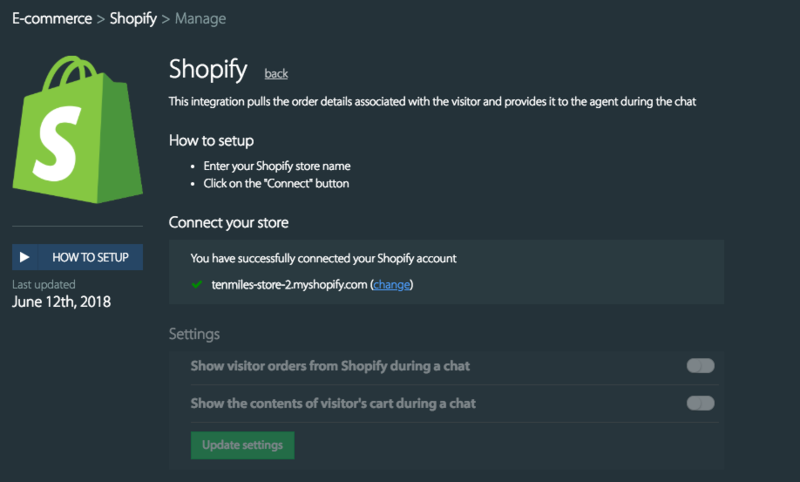 Step 3: Choose Shopify > Click Install. 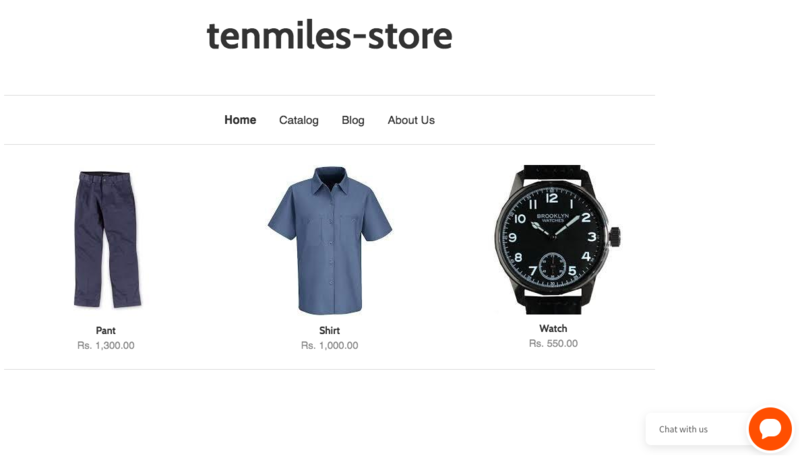 Step 5: If you are not logged in it to your shopify account, the app will prompt you to login. 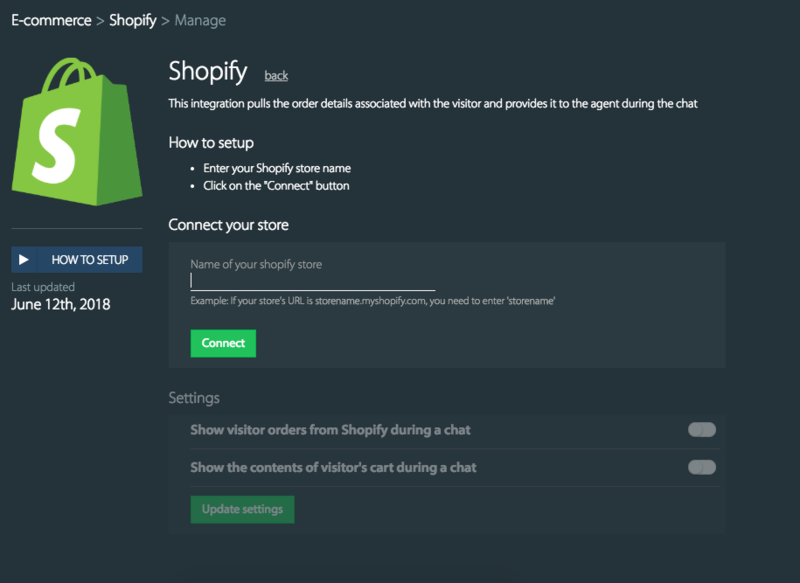 If you are already logged in, shopify will be connected to HappyFox Chat. 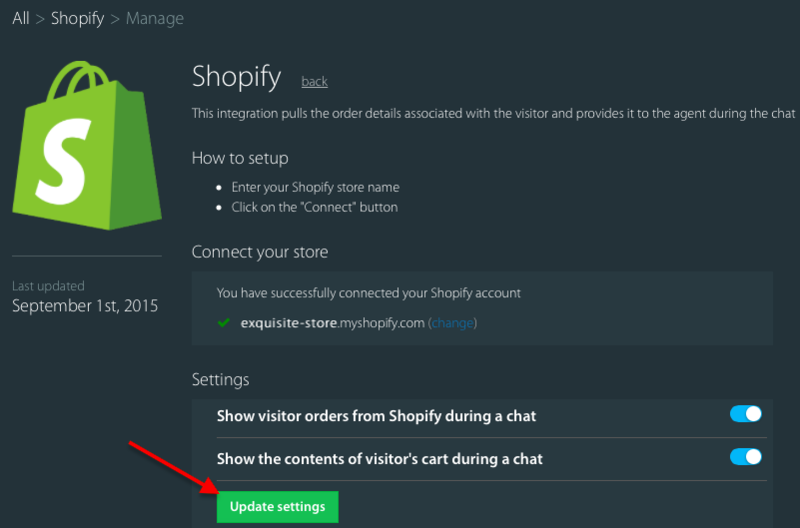 Step 6: Your Shopify account will be integrated with your HappyFox Chat Account. You can update your preferences under settings → click Update Settings.